Governor Mike Parson visited and toured the National Veterans Memorial in southeast Missouri’s Perryville Wednesday. 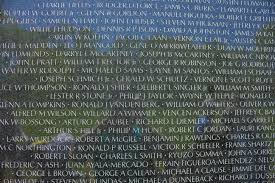 The memorial is a replica of the Vietnam Wall in Washington D.C. It is still under construction, but when finished, will feature the names of nearly 60,000 service members who died in the Vietnam War. Governor Parson says the wall will attract more visitors to Perryville to honor those who have served our country. The wall is expected to open this year. Next month, there will be a candlelight vigil at the site for prisoners of war and those who are still missing in action. The Perryville structure is the only exact replica of the Vietnam Veterans Memorial Wall in Washington, D.C.